When the sun rises on a Saturday morning, there’s one thing the boys want…more than sleeping in, more than Saturday morning cartoons, and more than a hefty pancake breakfast. 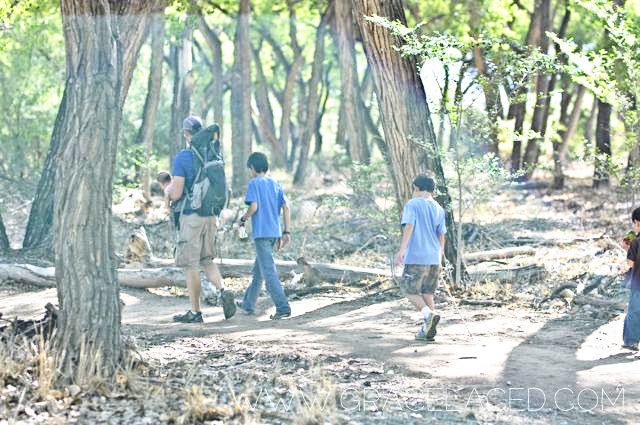 What they are always in the mood for is a trek among the trees that engulf our stretch of the Rio Grande river. 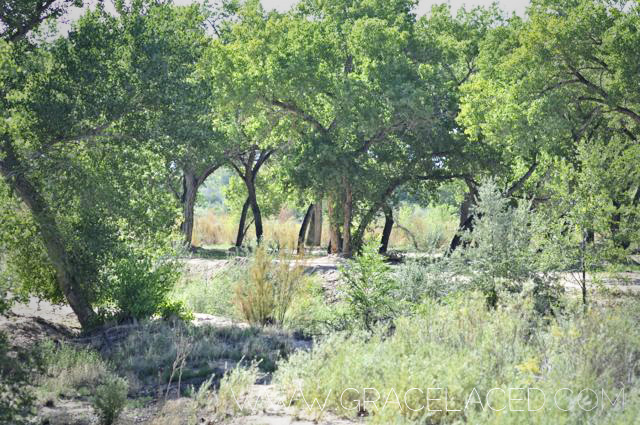 This beautiful area is called The Bosque. For the boys, it’s adventure. For Troy and me, we head down to the giant forest of cottonwoods, seeking rest, refreshment, and a little rejuvenation. I have six boys and one outdoorsy husband. All of them, including the baby, are truly the happiest and the most in their element with rocks beneath their feet and rustling branches overhead. 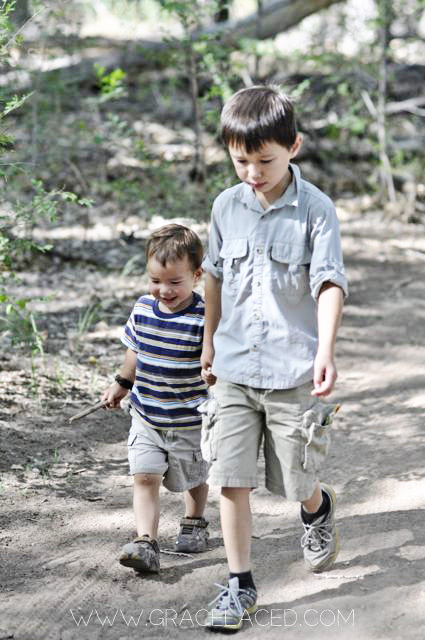 The boys chase lizards, climb fallen trees, and spot coyotes. It’s every boy’s wonderland, and they can explore for hours. 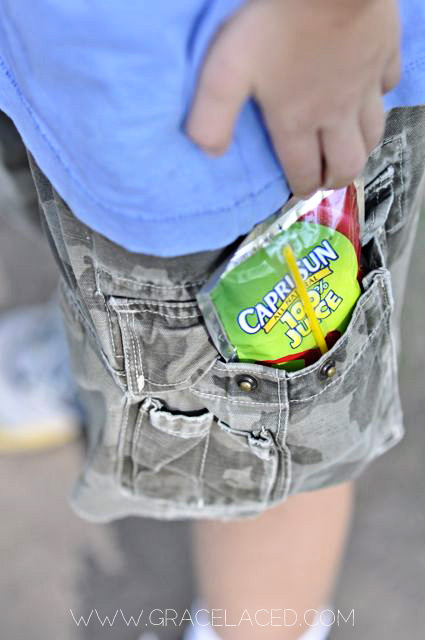 Active boys need refueling, however, and that’s where Capri Sun 100% Juice pouches come in handy. 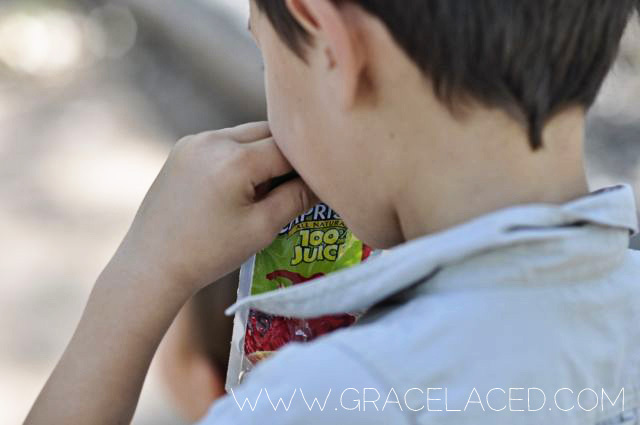 I love that they are 100% juice and naturally delicious, they love that the shiny colorful pouches are fun to drink and fit in their cargo pant pockets. 🙂 They each pack a pouch and help themselves when they get thirsty. You know what tickles me the most, though? It’s that big brothers love helping little brothers with their straws and juice pouches. And when they are all done…they flatten the pouches, roll them up, and collect the empty pouches in their pockets so not a trace of litter is left in the beautiful cottonwood forest. To be honest, the boys were rather pleased that the folks at Capri Sun chose us to share about how we enjoy their drink pouches. Capri Sun 100% juice pouches are considered a treat for the boys. 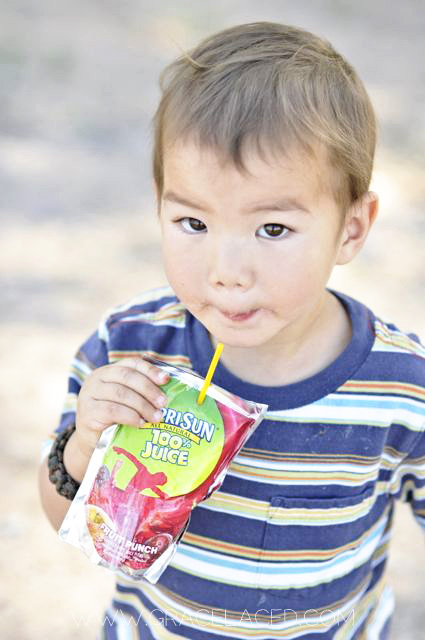 In a family where they share almost everything, there’s something special about picking and packing your own juice pouch…and savoring the sweet little respite all.to.yourself. Sometimes the most relaxing thing you can do on a Saturday morning (or when you are really needing a break) is not to be numb on the couch, but to come alive in the wild. 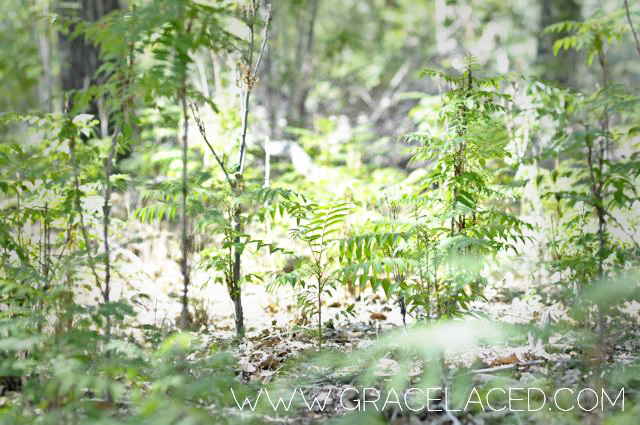 Adventure and exploring the beauty of nature is rejuvenating. And, thankfully, Capri Sun offers our family an equally natural on-the-go form of rejuvenation. Saturday morning refreshment? Done. You are really a good writer, Baobei, and I realized that since you were in elementary school. You made this advertisement hearty and cool, it especially reminded me of the sweet time we spent together just 3 weeks ago. I think they should make a micro-cinema out of this advertisement…..
Ruth–you are so fun! Please tell me that the company is using your pictures and your story in a real live tv commercial! The pictures are precious.